In greenhouses, supplemental lighting is often used, enhancing the sunlight and boosting the natural mechanism of photosynthesis in plants. 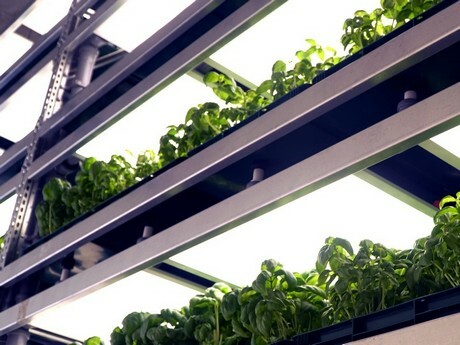 In iFarm's vertical farms that are assembled in closed units with no access of light or air from the outside, LED lamps are used. 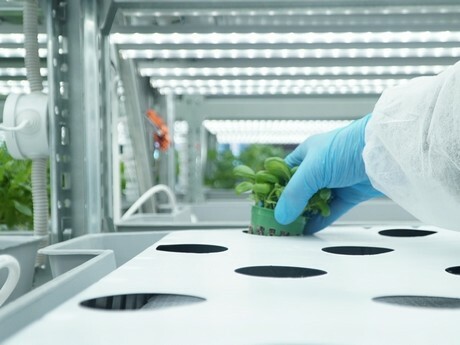 They provide the plants with the required light spectrum for growth. “In the beginning we purchased special lamps with various spectrums, bicolor and full spectrum ones, but we were not happy with their efficiency: they got as hot as radiators but provided little light”, shares the general director of iFarm, Aleksandr Lyskovskiy. 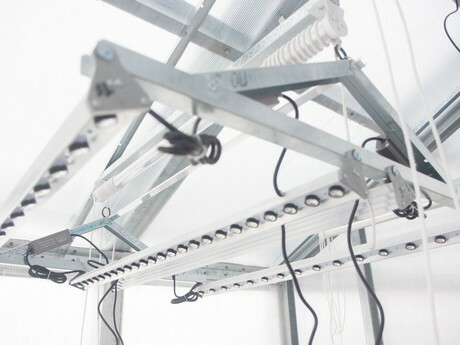 The first vegetables in the company's experimental bio-vegetarium were grown with the usage of such lamps. 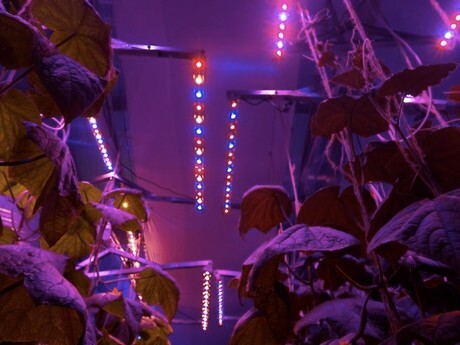 Further, iFarm began cooperation with a light equipment producer and got an opportunity to use the lamps with the most efficient LED existing at that moment. They showed a good result in terms of crops and energy consumption, requiring twice as little energy as the analogues, but they were rather costly. iFarm specialists were confident that they could improve those lamps. For that purpose the chief engineer and head of the R&D department of the iFarm Project, Pavel Zeeman, unscrewed every singe lamp ever acquired by the company, browsed through tons of literature and recalled everything that he knew about LED lamps. 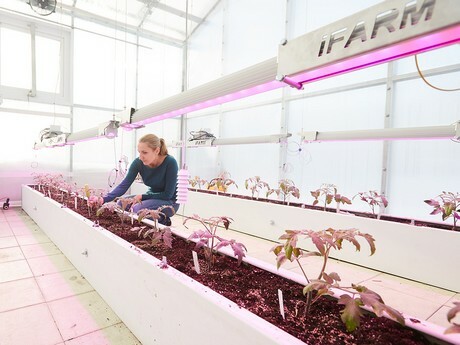 Square lamps were used in the vertical farm in the summer of 2018. 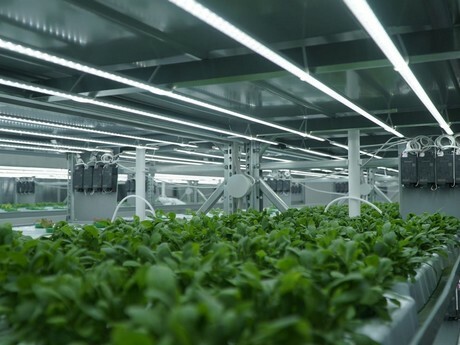 As a result of their own research, iFarm determined the parameters for improved lighting under the conditions of a vertical farm, one of which is a high humidity level. According to the chief engineer, iFarm lamps produce white light that includes blue, red, yellow and green spectrums, therefore fully replacing the sunlight. "Bicolor ones, which are often considered the most efficient ones", produce only the red and blue spectrums, which is much less healthy for the plants. Due to the usage of highly efficient LED lamps, the company has reduced the energy consumption significantly, to 90 Watt per square meter. That allows for the decrease of greenery production cost and therefore makes the technology even more accessible for the franchisees. Currently, a new big vertical farm is being constructed in a plot owned by the Vega Absolute company. The latter is acting as a technological partner of iFarm in lighting for the new project.